Are you looking for a heating source that is the best alternative of the space heater or electric heater? Did you scare of abnormally high electricity bill and willing to reduce the monthly cost? You are not the only person thinking about it. Many people are going back to primitive fuel source which is wood. The main reason why many customers converted to wood is the heating cost. The maintenance cost of wood-burning stoves is likely to be very low. Also, now you have more freedom of choice when its time of selecting a wood burning stove because there is variety of fuel available that can be used in the stove. Among them, the most popular types are firewood and pellet wood. Both fuels work in different type of stoves. Now governments are encouraging people to use the product that utilizes renewable energy. That’s why pellet stoves are now trending quickly in the USA, and the developed country because wood pellets are made from waste. So which stove is the best? 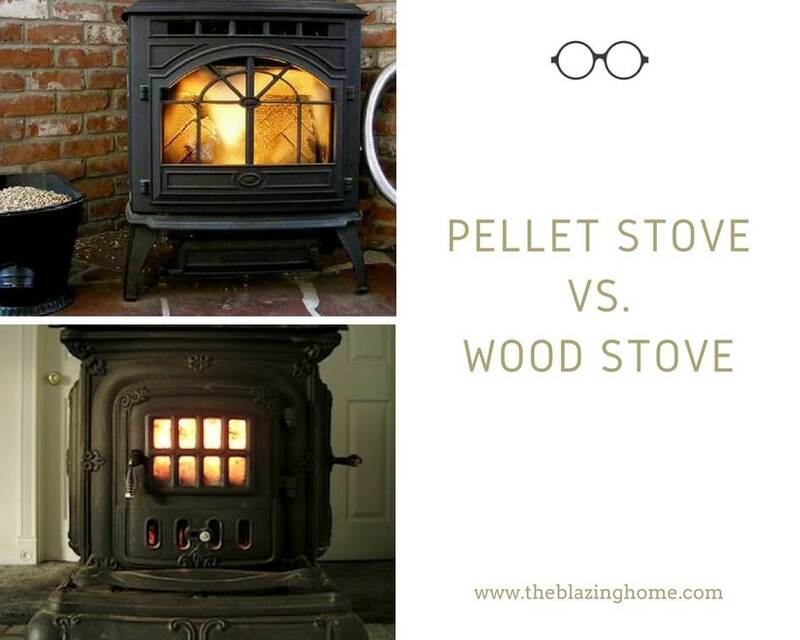 Is it a pellet stove or wood stove? 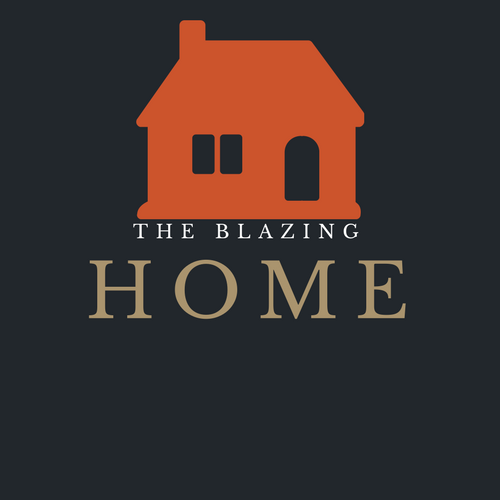 The Blazing Home has noted some of the most important comparisons between this two stove and this notes will help you before making a decision which one is perfect for you. Two type of pellet stove is immensely popular among the vendee – namely freestanding and pellet stove insert. The main benefit of having a freestanding pellet stove is you don’t have to think about the place to install it. It’s because you don’t have to concern about the stove venting system. Installing a vent pipe for freestanding pellet stove is very easy. Moreover, they emit very less amount of toxic gases and smoke compare to pellet stove insert. On the other hand, finding proper place for a pellet stove inserts or wood stoves is really a big challenge. You have to be an expert or you just need to hire a professional to install this stoves. Both stoves need a high-quality chimney system or heat shields to emit the gasses it produces. 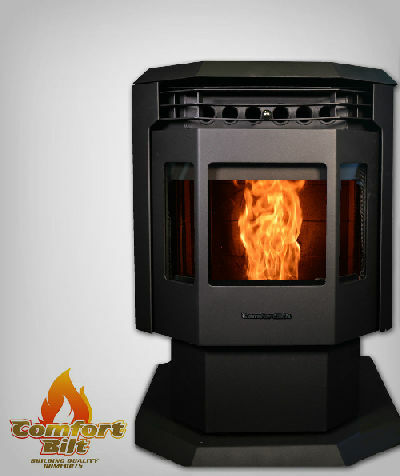 Before making your decision of buying a pellet stove insert or wood stove, it is advised to contact with a professional in this field to check if your home is suitable for installing this type of stove. The initial cost of both wood and pellet stoves are almost similar if you assimilate the price of the main unit only. But we have noticed huge dissimilation when we calculated the total estimated cost of installation. To get a brief idea about the total cost of installation cost, we have listed it below. Please note all the price given below are mainly based on average price. In case of both pellet and wood stove insert, additional cost may be applied if you like to make the chimney safe and fit. If you don’t have built-in fireplace, the installation cost of wood stove insert and pellet stove insert will increase dramatically. Woods are very expedient and cost-efficient. Firewood can be harvested or collect from the forest or hills and store it in the outside of the house. One few people have the opportunity harvesting firewood. Otherwise, you have to buy it from nearby firewood shop. A ton of firewood can cost $190, and for a complete season, you need woods worth $1235. Pellets are green product since pellets are made of wasted woods that are collected from roadside scraps or sawmill waste or sawdust. Coming to the cost issue, per ton of wood pellets can be charged approximately $190. You may need approx. 7.5 tons of wood pellets if you use it only during the heating seasons. You have to fix a budget of $1425 approximately for a period. You can save money buying from the wholesaler, where the per ton price is $90-130. So, if you have a good source of firewood and have the opportunity of harvesting it than you can purchase a wood stove rather go for a pellet stove. Because you don’t pay money for buying wood pellets. Pellets stoves need a constant electricity supply to run the blower fans, controllers, and motorized hopper. However, running a pellet stove for a month will not spike electricity bill to sky-high. They consume 100 kWh in a month on average and consumption of this amount of power in a month will cost only 10$. This amount is very negligible if you compare the bill with the running cost of space heater or infrared heater. If no electricity in the home, there will be no smoke and no heat in the house. That’s why we always recommend buying a backup power supply source like IPS or mini generator. But wood stove doesn’t need electricity supply like a wood pellet stove. There is not motorize hopper like pellet stove. You need to put firewood manually. Burning wood creates lots of smoke since they soak a lot of moister from the air. When you burn wet wood in the stove, it will produce huge smoke. This problem will last for 10-15 minutes. After passing some time, the smoke will reduce. However, the smoking problem will arise again whenever you put in new wood in the stove. Furthermore, burning wood produces some deadly gasses like nitrogen oxides, carbon monoxide, carbon dioxide, and organic gases. The pie chart shows amount of residual gases emit when we burn one kg of wood. 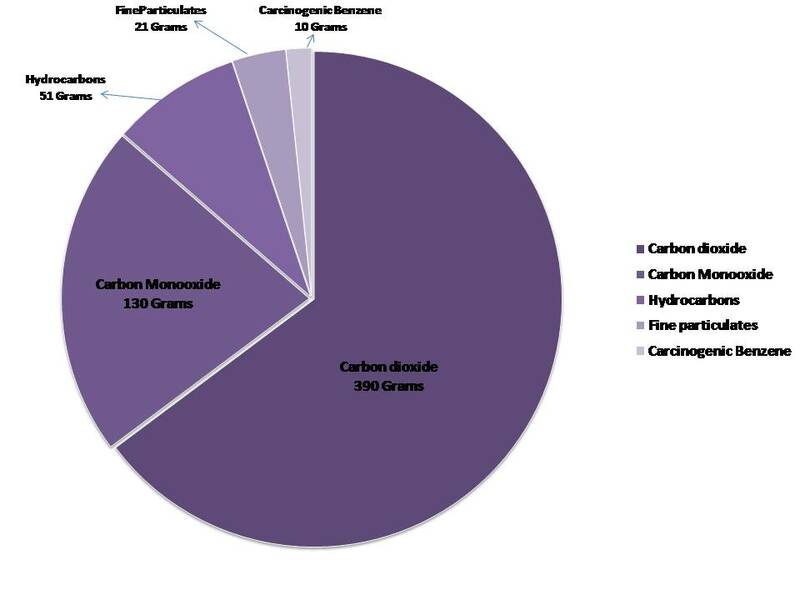 Moreover, the pie chart further indicates if we fire up wood will produce a good amount of toxic gases that are life threating (carbon dioxide and Carbon mono oxide). These toxic gases directly affect our environments and commonly known as the greenhouse gas. These gases are treating not only for human beings but also for the environment. Pellet stoves generate no smoke to little bit smoke depending on the EPA standard or grade of pellets. That’s the reason why pellet stoves are well known as an eco-friendly stove. A pellet stove can run continuously 65 hours without any interval. You can get a pellet stove with efficiency range between 70%-90%. The efficiency rating certification is given by EPA. The efficiency of wood stoves has been improved tremendously than older days. Measuring the efficiency of wood stove is nothing but guesswork. The actual heating output of wood stove depends on factors like type of wood use, amount of air allowed in the burn pot, type of wood fireplace and so many other factors. The heat efficiency cited in most of the product description is the approximate value. 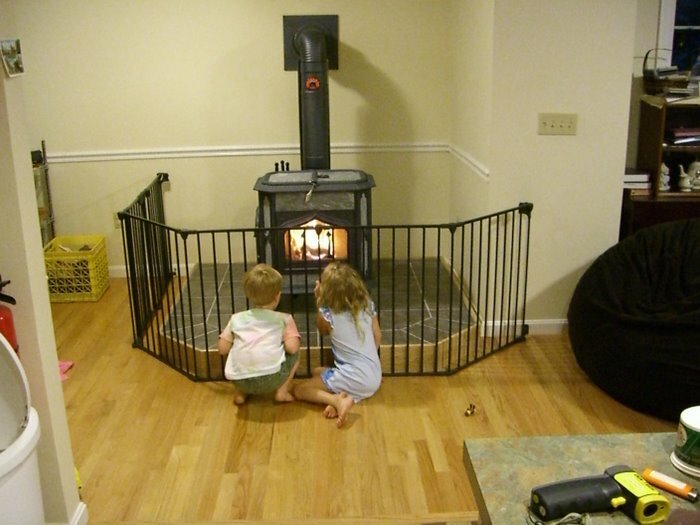 You may find a wood stove that has efficiency rating around 70%-75%. Wood stove creates dangerous flame spark. It’s because wood doesn’t burn as clean as pellet. Ejection of spark can burn you while you are opening the door of the stove. So, you have to be cautioned. Auto shut down: Turing on this feature will help pellet stove to shut down it automatically if it reaches the temperature that was set by you. Pressure switch: Automatically shut off feeding motor if you open the front door or ash door. It will also alert you when the venting system is not functioning properly. Exhaust Sensor: This sensor detects extremely high temperature and directs the pellet stove to shut down automatically. Firewood needs additional space to store. Woods attract the insects and pests in the house. Therefore, reserving fire woods inside home means welcoming unwanted guest in your home. Without any doubt, you have to store it outside of the home. Hence, you have to expend extra money to construct a storage room for firewood. Pellets are clean and small in size. The main advantage of pellet is they pellets don’t attract harmful insects and pests in the house. Therefore, you can easily store it anywhere inside your home. High graded pellets come with an outstanding quality packet and you can store the packet in a drawer. But, you can also store it in storeroom. Only you have to make it sure that the storeroom is dry and free from flooding, moisture, and molds. Chimney has to clean every month, especially during winter. Inspect the component of chimney system at least once every season. It is always a good thing to hire a professional and certified chimney cleaner for this cleaning operation. The catalytic combustor of the wood stove has to be clean three times in a season. Regular removal of ashes is needed. Wood stove produces a very bulk amount of ashes. So it’s challenging to remove from the pot. Moreover, you have to clean the bark and wood chip masses. You have to remember while buying a wood stove that it needs an outstanding amount of maintenance cost. You have to clean the burn pot and fire extinguisher regularly. It will take only 2-3 minutes, and the process is straightforward. You have to inspect the motor and blower fans of the pellet stove in a month. You can check it easy, all you have to follow the instruction provided in the guideline or user manual book. In case you detect some problem in this electrical components, then we suggest you hire an expert of HVAC in your nearby area. Don’t try to fix it by yourself if you don’t have experience in this field. It will be very risky and fatal for an amateur. Only you need to hire professionals if there is a significant problem on the stove. Without any doubt, you have got a bunch of idea and knowledge about wood and pellet stove. Now it’s your decision time. Which one fulfills your desire? Which stove do you? Let me guess. Isn’t it pellet stove? Of course, the pellet stove will be your choice. 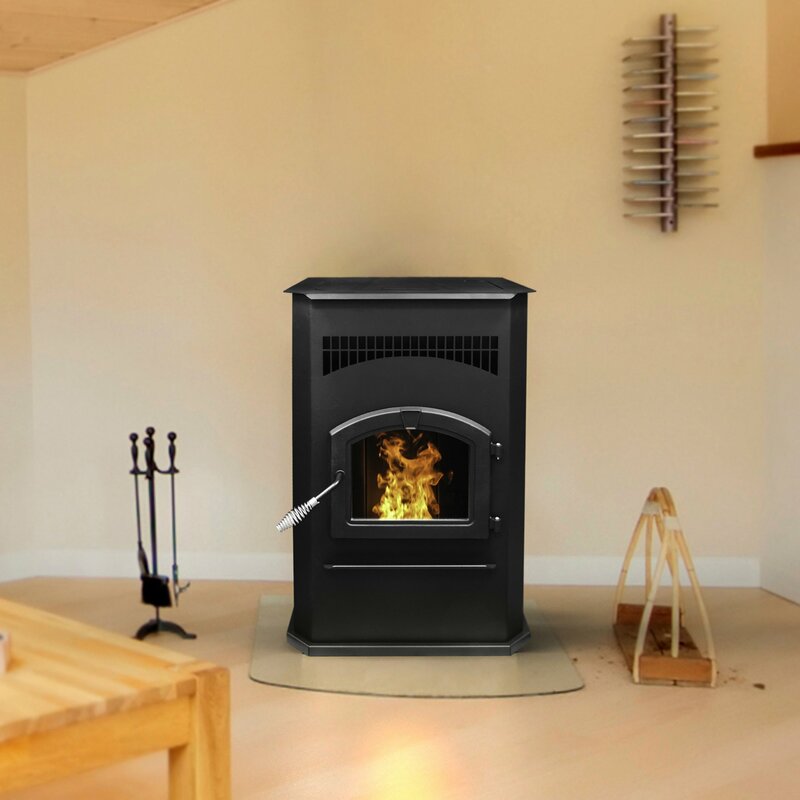 Pellet stoves may be a good investment if you think about the maintenance cost, safety, and eco-friendly and almost every criterion we pointed above. You can go cynical for a wood stove if you are not concerned about the global warming issue, and you harvest wood, and they are always readily available to stack. Moreover, the wood stove doesn’t need additional power backup during the power outage. It will provide heating without any interruption. Only you have to supply firewood in the stove contentiously which is an annoying and irritating job to do. Also, some wood stove gives you the option to cook foods and BBQ’s in an emergency situation or party. Are the wood pellet stoves safe for your home?